A student team from BCIT was crowned the winner of the regional Vancouver, Coast and Mountains Winning Pitch competition. 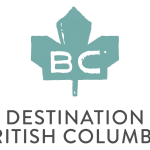 Winning Pitch™, organized and presented by go2HR, BC’s tourism human resource association, is a post-secondary student case competition. This year, student teams had to develop a new product or service that supports the development of accessible tourism opportunities in the Vancouver, Coast and Mountains region. 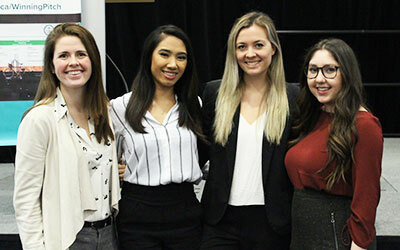 The BCIT team, made up of students Eleanor Canning, Zophia Espinosa, Caitlin Ledingham, and Marni Weinstein took home first place with their proposal of “Reel YVR”. 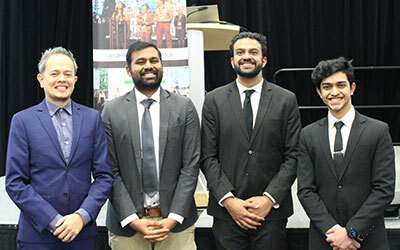 Capilano University’s team came in second place with their proposal of “No Barriers BC”, presented by students Het Desai, Joe Kannath, and Ashish Mishra. To supplement their knowledge and insight around accessible tourism, students were able to draw on the mentorship and expertise of Nancy Harris, Regional Development Liaison, Spinal Cord Injury BC, who was impressed with “how all teams in a short amount of time were able to incorporate universal design and accessibility into a viable delivery model”. The judges agreed. “Every one of these business ideas was creative and has the great potential to be successful as a business,” said Kevin Pearce. “All of the teams found unique ways to incorporate accessibility in their business models without relying solely on that,” added Walt Judas. 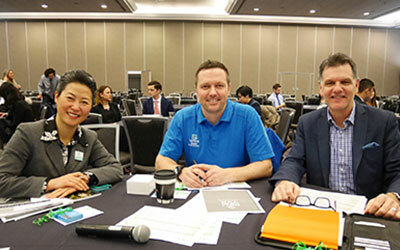 The winning team will represent the VCM region at the provincial finals, which will take place at the 2019 BC Tourism Industry Conference in Vancouver in February.